The neighborhood of Oak Grove in Monterey is the perfect spot for water lovers as it is bordered to the north by Del Monte Avenue, just across the street from the Monterey State Beach. To the west the neighborhood is bordered by Lake El Estero, a beautiful and serene lake for paddle boating and relaxing on the surrounding lush green grass. Sloat Avenue borders the neighborhood to the east and to the south you will find the convenience of Hwy 1 which will take you south to Carmel and Big Sur or north to Seaside and Marina. The streets in Oak Grove are numbered from 1st Street to 10th Street in ascending order, as they move away from the shoreline. They are intersected by two main streets, Ocean Avenue and Park Avenue. The neighborhood is safe, well-maintained and belongs to the Monterey Unified School District making it a desirable locale for families. Homes in Oak Grove offer affordability and value especially in light of the neighborhood’s central location with accessibility to the ocean, lakes and parks. As of February 24th, 2015 homes in this neighborhood range from $850,000 for a 3 bedroom, 3 bathroom home with 1,960 SqFt of living space on a 4,000 Sqft lot to $625,000 for a 2 bedroom, 1.5 bathroom home with 972 SqFt of living space on a 4,000 Sqft lot. Click here to view all homes for sale in the Oak Grove neighborhood. 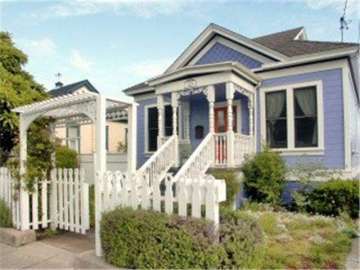 To view all available Monterey real estate, click here. 10 homes sold in this neighborhood in 2014. The most expensive home was a 3 bedroom. 3 bathroom home with 1,766 Sqft on a 4,000 Sqft lot that sold for $800,000, while the least expensive home sold was a 1,500 SqFt home with 2 bedrooms and 1 bath on 4,000 SqFt of land, which sold for $325,000. In 2013, the most expensive home sold in the neighborhood was a 1,900 SqFt home on 6,800 SqFt of land, which sold for $780,000. The least expensive home sold was a 1,500 SqFt home on 4,000 SqFt of land, which sold for $545,000. In 2012 there was just one sale in the Oak Grove neighborhood. Selling for $409,000 this home on 6th Street had 2 bedrooms and 1 bath, 999 SqFt of living space and was situated on a 5,000 SqFt lot. For a detailed analysis of Monterey real estate, check out our monthly Community Market Reports. To be a homeowner in Oak Grove is to enjoy life in a traditional neighborhood in the unique and beautiful coastal city of Monterey. Your opportunities for world class dining, shopping, sports and recreation along the Peninsula are truly limitless. Golfers in particular will cherish their proximity to superb golf courses, one of which is just south across the highway at Del Monte. Del Monte is one of the nation’s oldest golf courses and is part of the Pebble Beach family of courses. With a sunny location and park-like greens, it is a local favorite. For golfing along the dramatic coastline you don’t need to venture far to find yourself in the beauty of Pebble Beach. Here you can tee off like the pros and play Spyglass, The Links at Spanish Bay, Pebble Beach, Poppy Hills among other private courses including the exclusive Cypress Point and Monterey Peninsula Country Club. Having the luxury of being walking distance to the Monterey Coastal Trail, as a resident of Oak Grove you can enjoy miles of paved paths perfectly designed for cycling, jogging and walking while taking in the spectacular sights along the coast. For dining, shopping, entertaining friends and family or visiting the famous Monterey Bay Aquarium, you are just 2 miles away from Cannery Row. Old Town Monterey and the Lighthouse District offer additional opportunities for dining, catching a movie, visiting a museum or simply sight-seeing. For everyday conveniences you are near Del Monte Shopping Center, a sprawling outdoor shopping center with department stores, eateries and boutiques. There is also a Whole Foods there for convenient grocery shopping or picking up a healthy meal on your way home from the office. Perhaps the best part of living in Oak Grove will be the memories you will create living on the Monterey Peninsula. With unsurpassed beauty and character it is a city you will embrace calling home for years and generations to come.